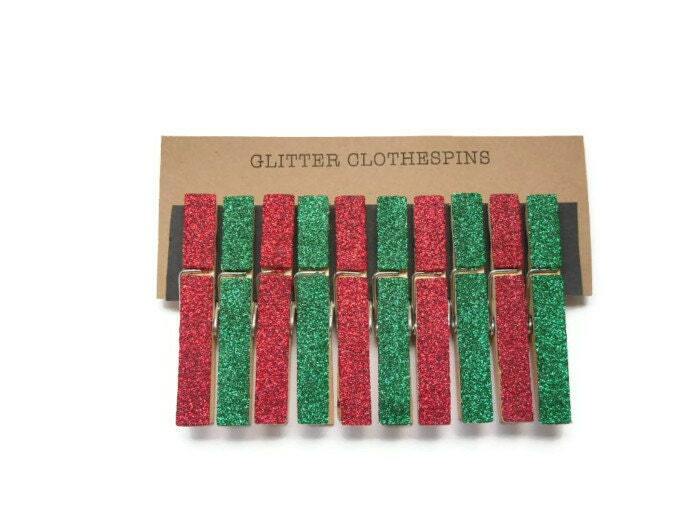 Glitter Clothespins. 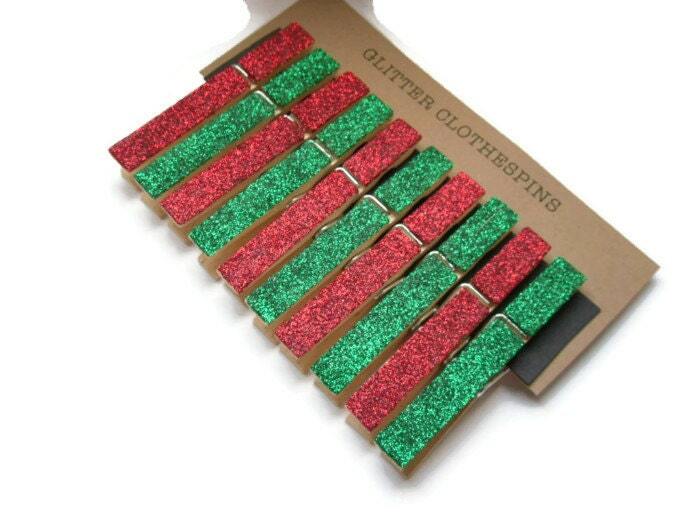 Set of Ten (10) Christmas Red and Green. Holiday Decor. 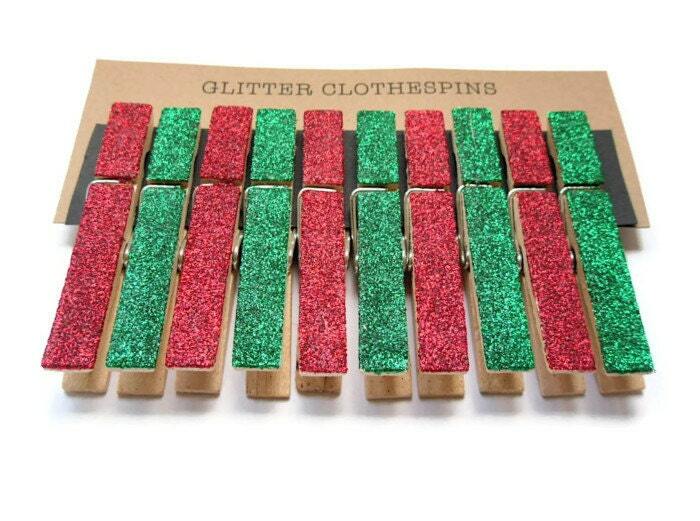 A set of ten (10), glitter clothespins in Christmans Red and Green. 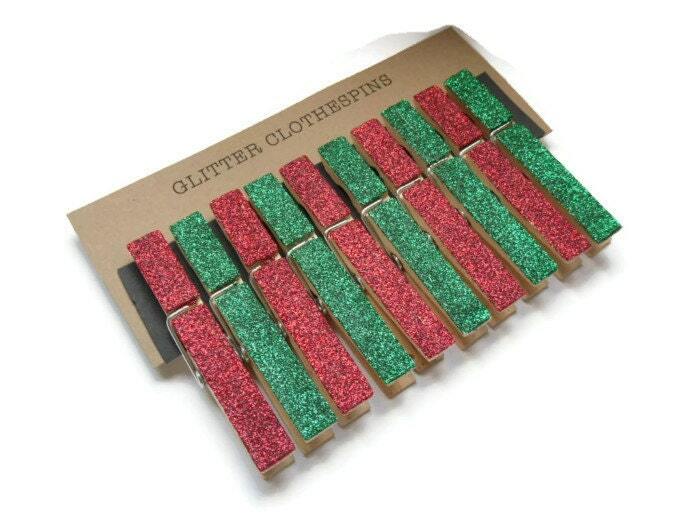 You will receive five (5) of each color. Each pin measures 3" x 3/4" and has a strong 7-coil spring.